At just 45" tall, the Redmond Wellington Small Chest has a smaller stature that would make it the perfect storage solution for a child's room, or as a stand for your TV. 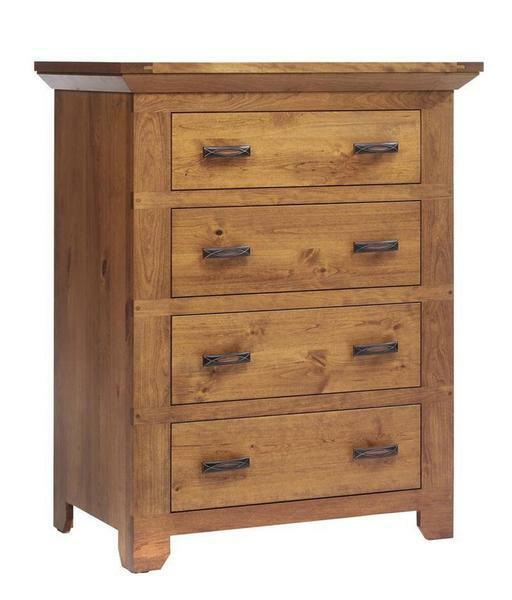 With the clean, simple design and rustic embellishments, this chest is a quaint piece with modern flair and will make just the right statement on your bedroom decor! Featuring four spacious, dovetailed drawers, that ride on full-extension, side mounted slides and a spacious 36" x 23" plank top, you're sure to have the extra storage you need for you space.